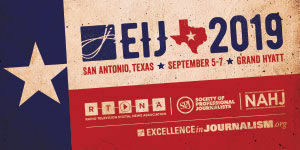 The Fund for Investigative Journalism (FIJ) is partnering with four of the country's most innovative journalism nonprofits for a yearlong fellowship program that aims to expand opportunities for diverse journalists in watchdog reporting, with an emphasis on journalists of color. The Ida B. Wells Society for Investigative Reporting will aid the effort by providing fellows with additional training and support. FIJ and its partners will select up to four fellows who will work with one of FIJ's partner outlets to produce deeply reported investigations on climate change and the environment, social justice and the U.S. criminal justice system, and government accountability and the abuse of power. Fellows will have access to reporting expertise and other resources offered by partner outlets. Each will get guidance from some of the industry's best editors and investigative journalists.